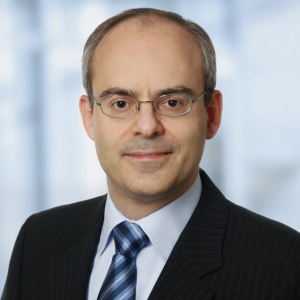 Dr. Alex Ehrler is responsible for the business division Platform. From 1993 to 1998 he studied computer science at the University of Karlsruhe with emphasis on “Information Systems Engineering”. Following his thesis he worked for three years at SAP AG as a software developer in the field of PLM New Application Development. In 2001 he joined PDTec GmbH as Chief Architect Internet Solutions and designed the information system platform ice.NET. In the context of international research activities, he earned his doctorate in 2004 with the topic “Semantic standards and software components” at the Institute of Computer Application in Planning and Design (RPK) of the University of Karlsruhe. Since 2007 he is a board member of the PDTec AG. Albrecht Pfaff is responsible for worldwide Sales and Marketing at the PDTec AG. Albrecht studied from 1978 to 1982 mechanical engineering at the Polytechnicum Giessen / Friedberg in Germany. After graduating as mechanical engineer (Dipl.-Ing.) he served six years as an application engineer and CAD / CAM / CAE consultant at the global CAD company GE-Calma – a former division of the General Electric Corp.. In 1990 he joined the Finite-Element-Pioneer MSC.Software (former MacNeal-Schwendler Corp.). During the next 22 years Albrecht hold different sales & management positions at MSC as Vice President and Managing Director in Europe and significantly developed the CAE-business organically as well as through multiple acquisitions. Albrecht also a member of the German Steering Comittee of the NAFEMS DACH organization and supports e.g seminars & conferences, such as the European SPDM Conference for the Simulation and Process Data Management, which was initiated by him and has now taken place for the fifth time. Since 2013 Albrecht Pfaff is a board member of the PDTec AG. 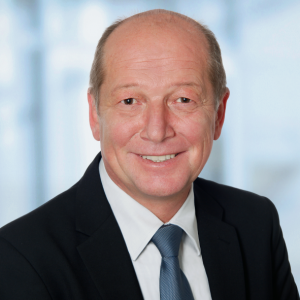 Dr. Günter Staub oversees the business division SDM at the PDTec AG. Dr. Günter Staub initially completed an apprenticeship as a machinist and a training as a technical draftsman (mechanical engineering), then worked as a technical draftsman for a medium-sized engineering company and attended the companies first steps with CAD. From 1986 he studied computer science at the University of Karlsruhe with emphasis on practical computer science. Following this, Mr. Staub was a research assistant at the Institute of Computer Application in Planning and Design (RPK) headed by Professor Grabowski. During the assistantship Mr. Staub led the research group Construction Systems and was instrumental in several national and international research and industrial projects in the fields of computer-aided product development and product data technology. He received his doctorate to Dr.Ing. with the topic “Component-based development and implementation of product models as the basis of interoperable applications engineer”. 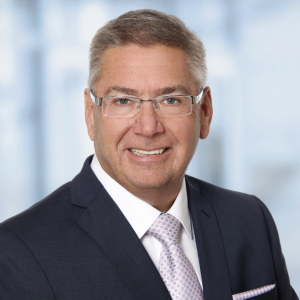 Since the end of 1998, Dr. Staub was the executive director of the PDTec GmbH and since the formation of the PDTec AG in the year 2007 one of its board members. Dr. Anna Wasmer is responsible for the board department PDM in PDTec AG. After receiving her Masters degree in Computer Science from Technical University of Karlsruhe (now Karlsruhe Institute of Technology KIT), she became member of a research team on information logistics at the Fraunhofer Institute for Information Processing (IITB) and afterwards worked as research assistant and industry consultant at the institutes ‘Computer Integration in Planning and Design’ and ‘Computer Integrated Design’ at the Mechanical Engineering departments of the Technical Universities of Karlsruhe and Darmstadt. After receiving her Ph.D. in Mechanical Engineering from the University of Darmstadt in 1997, Anna took a position as consulting manager with InterDataAccess, Inc., a company specialized in geometry viewing, and, after its acquisition at Spatial Technology, Inc. There she started specializing in methods and tools related to design and engineering, with a special focus on product data and lifecycle management (PDM / PLM) and optimized processes for engineering collaboration in the extended enterprise. Since then she is involved in numerous international automotive initiatives and consortia related to development of standards for product data exchange as well as process definition and harmonization. She has been a member of various ISO, VDA/ProSTEP, and SASIG workgroups and is co-chair of the XMTD and PDM workgroups at AIAG. From the AIAG she was awarded with an Outstanding Achievement Award in 2004. 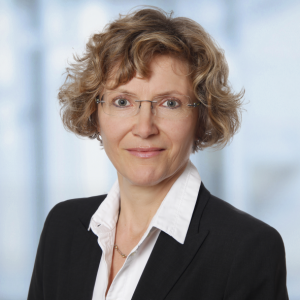 As a co-founder of PDTec, Anna has been managing director of PDTec GmbH since 1999. Since 2007 she is member of the management board of PDTec AG.